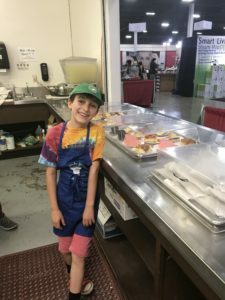 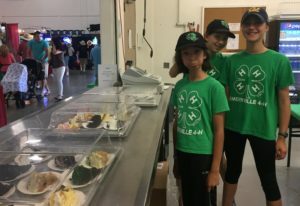 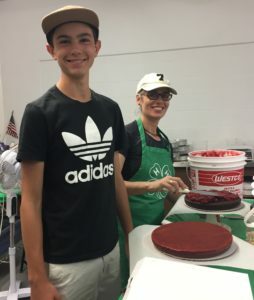 Our club has worked in the Alameda County Fair cake booth every June for the past 4 summers. 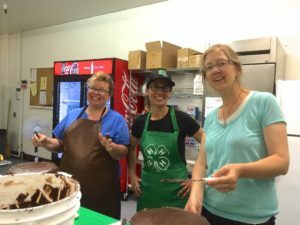 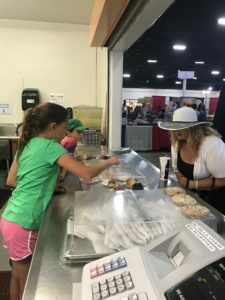 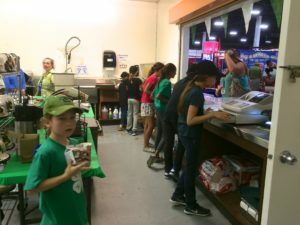 Members and adult volunteers frost the cakes, cut, sell and serve the cake slices, make lemonade, ice tea and coffee, work the register, replenish supplies and clean up the booth. 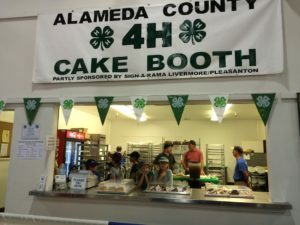 The cake booth is the main fundraiser for Alameda County and each club that works gets a percentage of the proceeds.